Thanks to the online writing tools I use, I saved 73 minutes last year, which means I was able to fit in two extra episodes of South Park and a phone call with my ex about her new kittens. No, I am not a nerd that timed myself every time I sat down and wrote something. I extrapolated the figure based on the amount of time each tool saves me on average. 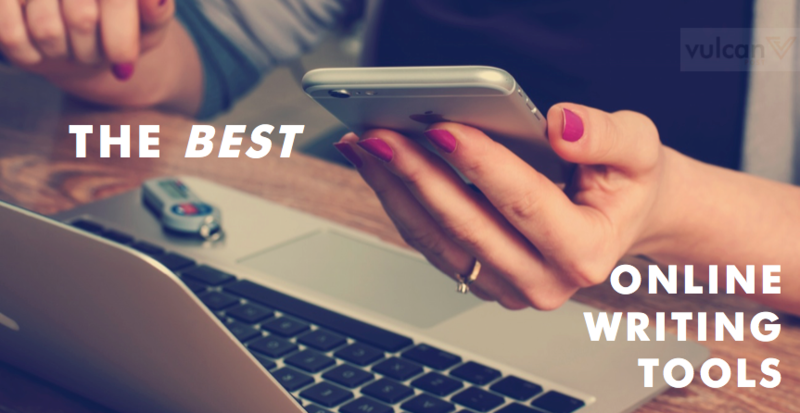 I discovered I do a lot of needless things that apps and online tools can do for me, so I thought I would share my favourite writing apps with you. To cut time from my proofreading routine, I like to use a few spelling and grammar checkers, and this is the one I use right after using the spelling and grammar checker on my word processor. I have a great fondness for the Paper Rater tool because it is free, it doesn’t stop working because you block cookies, it is quick and it is easy to use. It also does not clog up its pages with affiliate advertising, and the load times are fantastic. Paper Rater gives you suggestions about your spelling and grammar, and also on your word choices. For example, if the words in the sentence suggest that the word “peace” should be used instead of the word “piece,” then it will suggest it, and yet if you go further down your document and use the word “piece” again, Paper Rater will not highlight that one unless the other words in the sentence indicate the wrong word was used. I am not a fan of the rating system it has because most rating systems are of poor quality, but it is nice to see if you have used varied vocabulary and good transitions. Still, I do not let their rating affect how I proofread my work. This is the third spelling and grammar checker I run my work through after putting them through my word processor spelling and grammar checker and the Paper Rater tool. After going through all three checkers, I often find that my work is absent of obvious mistakes and my final read-through tends to go very quickly. One of the things I like about SpellCheckPlus is that they do not use the Ginger database. Many online spelling and grammar checkers use the Ginger database, which means many of them come up with suspiciously similar results. 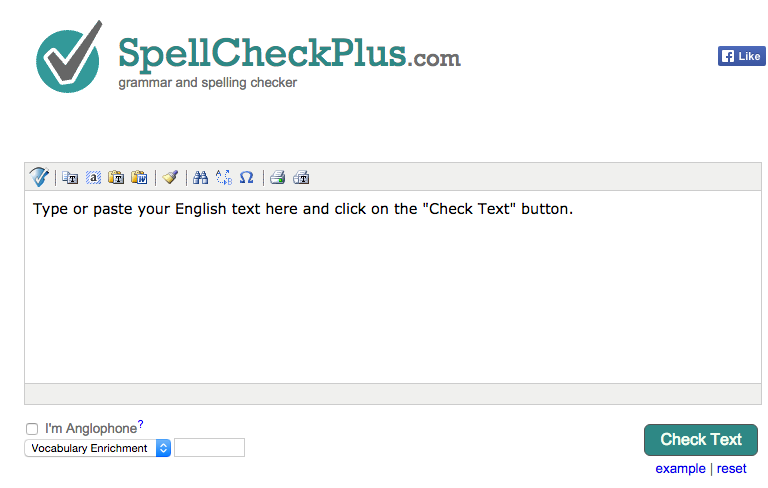 The database used for this spelling and grammar checker was created by the two tool creators themselves, so it generates different results to the other tools you see online. It is best used for picking up on punctuation errors, which is handy because I have a habit of inserting a comma where I may normally draw breath when reading aloud (you know, that little pause to take a breath when you read). Subsequently, my comma placements are sometimes a little off, so I use this tool to find and correct them. Also, just like Paper Rater, this tool is handy for picking out the misuse of words, especially when it comes to correctly spelt typos that my word processor spelling and grammar checker doesn’t pick up on. 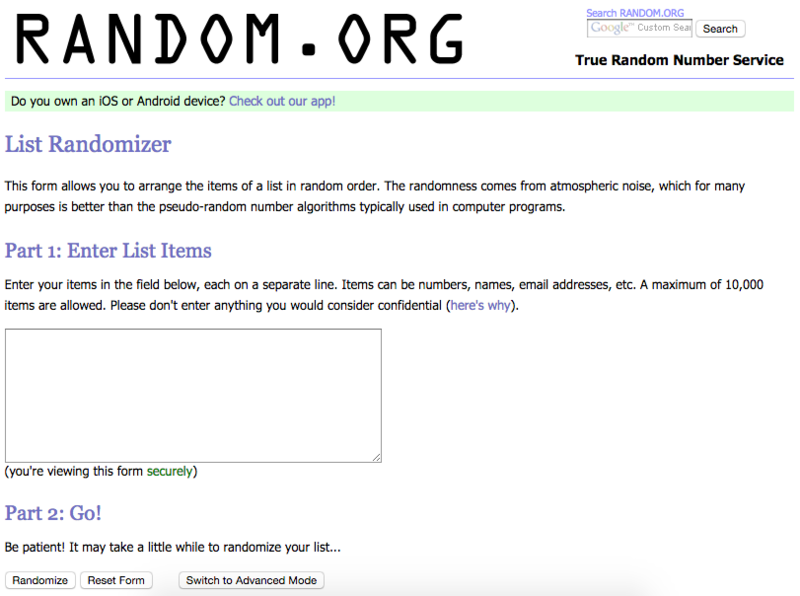 The Random tool is one of a very few online randomisers that actually creates genuinely random results because it uses atmospheric noise to determine how the program will run and randomise the lists you give it. This, along with Convert Case shown later, must have saved me hundreds of hours over the years. I often have to write and rewrite lists and content to ensure they don’t show as plagiarised with online plagiarism detectors. One or two word sequences in lists are easy to adjust so that they do not red-flag plagiarism detectors, because good plagiarism detectors identify strings of three words or more. This means you can copy a list if it has one or two words on each line and randomise it to ensure it passes plagiarism checks. The random tool helps you randomise such lists thoroughly so that it is not in the same order as it was. Plus, you can have the tool arrange the randomised list in a line so you can list things with commas after them in a sentence, or put numbers in front of each list item, which too is a major saver. Also, I often have to work repeatedly from the same notes or plans to create variants on different types of content. For example, I may have a bullet-point plan about an essay on beef burgers. What I do is write the essay once, then put the bullet-point plan through the randomiser and write the new essay based on the newly randomised list. It doesn’t look like a rewrite of the previous essay because the elements/headers/sections are not in the same order. It makes my head hurt when I think of the times I used to re-type content because I had left the caps lock on, or because I had copied and pasted content that was in upper case and needed it converted to sentence case. The Convert Case tool has saved me legendary amounts of time, especially when it comes to capitalised case projects. For example, there are some essay and article formats that demand capitalised case headers and titles. This is where the first letter of each word has to be capitalised. You tend to see it more on titles and headers as a way of making the words stand out and because the formatting/style guide demands it. Typing is usually a quick process where words take seconds to write, but when you have to write with every first letter a capital, you have to keep tapping back to the shift button to capitalise the letters. Now, you can copy and paste the sentence(s) onto the Convert Case tool and it will do it for you in the click of a button. This article was submitted by Laura Jonson via the Vulcan Post submission page. Laura is a creative writer and a freelancer. Today, she is working for educational resource AssignmentMasters UK. In spare time Laura reads, writes and goes in for sport.